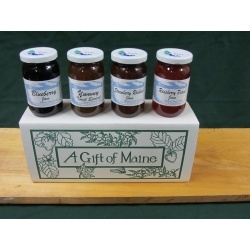 Maine’s Own Treats began in 1975 when the original owner, K. Weymouth Howard, Jr., a retired submarine cook, made his family’s old recipes for jams out of his Sea Captain’s home in Blue Hill, Maine. 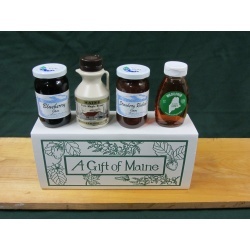 After winning multiple blue ribbons at the fairs and demand becoming so great for his jams, he moved the business to our current, 30 acres, location on the Bar Harbor Road. 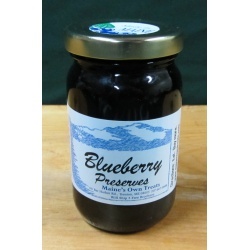 In 1987, the Gauvin family took over Maine’s Own Treats with Weymouth staying on to continue cooking the jams into his late sixties before retiring. 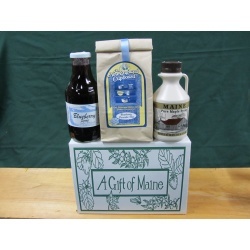 We have expanded the flavors, but the originals still remain. 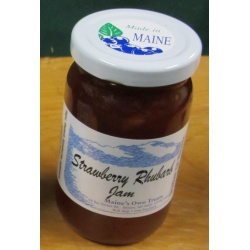 The jams are still made the old fashioned way, over a stove and hand poured. 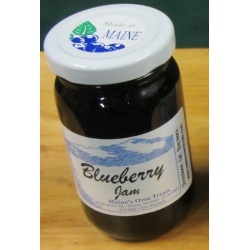 Made with Maine wild blueberries! 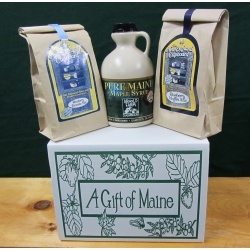 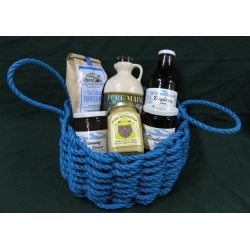 Wild Maine Blueberries, pour on pancakes, ice cream, yogurt, or oatmeal! 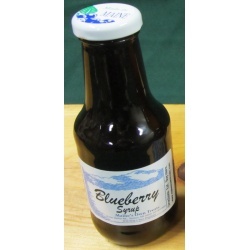 One pint Maple Syrup, one 16 oz Fruit Syrup, and Blueberry Pancake mix! 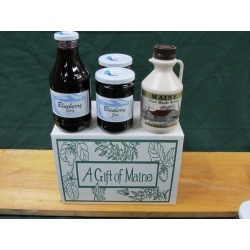 One quart Maple Syrup, Blueberry Pancake mix, and Blueberry Muffin mix! 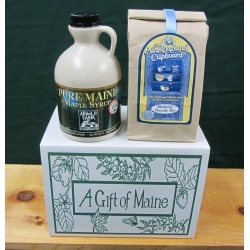 One quart Maine Maple Syrup, two 15 oz Jams, one 16 oz Raw Honey, one 16 oz Fruit Syrup, and popover mix!